Though I have other rituals and spells in Hearken to Avalon, the following is not one of them as Milkweed is native to the Eastern United States and not to England. Still, I thought it would be healthy to include on this page as both Morgaine and Evelyn work medicinally and magically with herbs. Tonight, July 1, 2015 is the Full Moon and I am claiming it to be the Milkweed Flower Bud Full Moon. Milkweed, Asclepias syriaca, Asclepiadaceae is a July delicacy. This plant has a thick, gray-green shoot covered in very short, soft hairs with opposite, elliptical leaves that are soft and hairy on underside. The purple-green flowers grow in clusters. When any aerial part is broken it exudes a white, milky latex substance containing toxic cardiac glycosides. As you may know, Monarch caterpillars are immune to this toxin and this is what makes the Monarch Butterfly distasteful to would-be predators. You can topically apply the latex-like milk to warts to diminish them. But you don’t want to eat raw Milkweed. You need to cook the cardiac glycosides out. All this said, Milkweed, after cooked, is fine to eat and really does have a pleasant taste, reminiscent of artichoke. 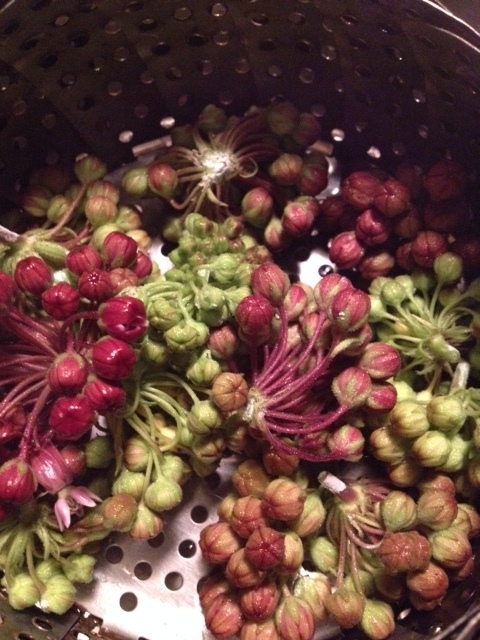 Gather the flower buds and flowers and steam or boil for 10 minutes. After cooking, you can eat plain or with butter. I will let the flower buds cool and then throw them into a food processor with oil and garlic and turn the concoction into a veggie dip. Yes, quite tasty! For a magical Full Moon, here is a ritual I created in honor of Milkweed and how we can transform something we perceive to be toxic in our lives and render it benign. Milkweed bugs, Monarchs and Viceroys all eat Milkweed. They are able to transform the toxins in the plant and make use of them. Without harming themselves they are toxic to predators to eat. How do we transform something we perceive to be toxic into something usable? What situations, patterns, behaviors, people or chemicals do we find to be toxic to us? How can we render these things safe in our lives? What do we need to do? 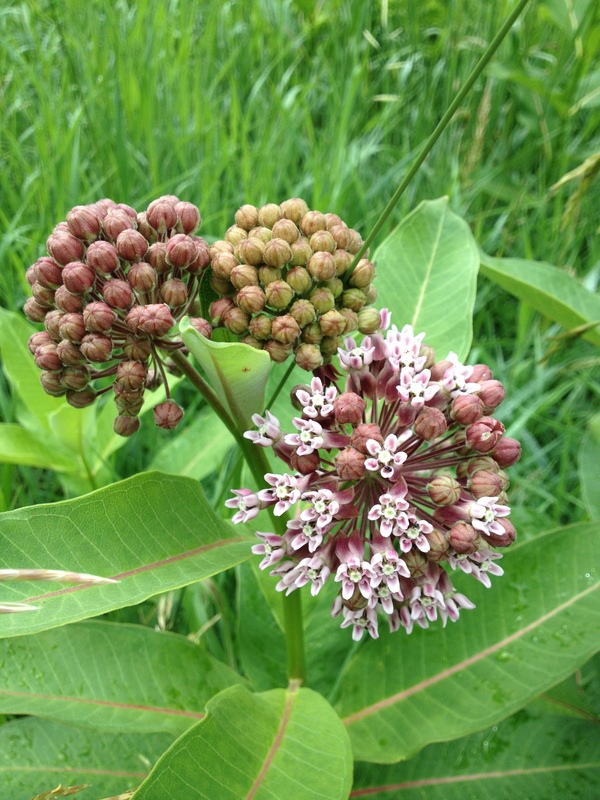 Sit with Milkweed and allow time to gather personal answers from the Ethers. Gather and prepare the Milkweed by boiling for 10 minutes. Physically, for us, the boiling water transforms the toxin and renders it neutral. Spiritually, I want you to consider how you transform something that is not healthy for you to something that is by taking it internally and transforming it. Believe you have the power to transform its properties and you will. Consume the Milkweed. “We are alive as the Earth is alive. We have the power to create our future. If we have the courage we have the power to be healers. Like the Sun we shall rise. 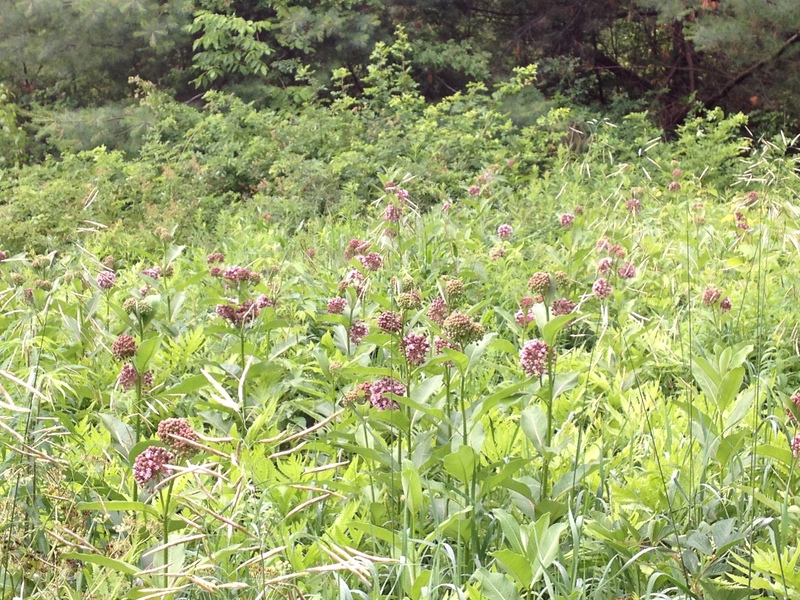 Thank the Spirit of Milkweed. This entry was posted in Natural History, Natural Science and tagged Arianna Alexsandra Collins, Asclepias syriaca, Full Moon, Magic, Milkweed, ritual. Bookmark the permalink.